Grandmaster Seiichi Tanaka, founder of San Francisco Taiko Dojo. 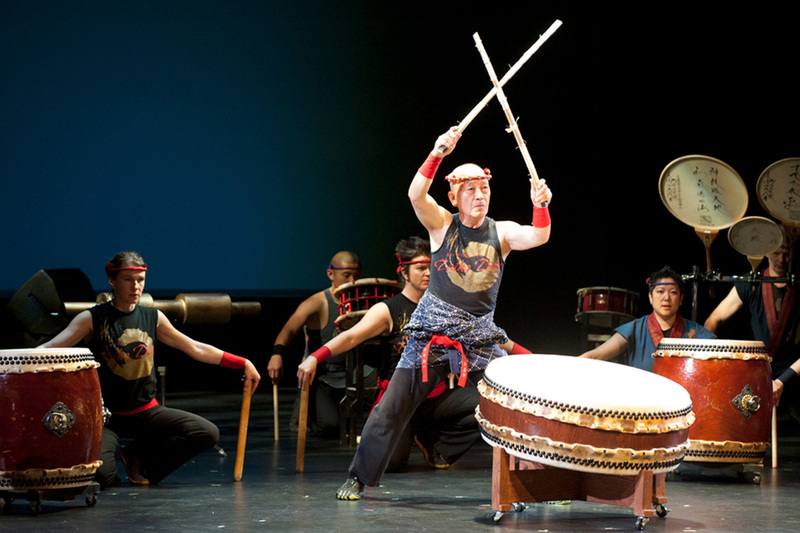 SAN MATEO — The 50th Anniversary International Taiko Festival will be held on Saturday, Nov. 10, at 7 p.m. and Sunday, Nov. 11, at 3 p.m. at the San Mateo Performing Arts Center, 600 N. Delaware St., San Mateo. • Grandmaster Seiichi Tanaka and the San Francisco Taiko Dojo, who are celebrating their 50th anniversary this year. • Special guests from Japan, Wako Daiko and Taiyo Onoda of Kodo. • Special guests Burlington Taiko, Fubuki Daiko, Fushu Daiko, Kaoru Watanabe, Kenny Endo, Masato Baba, Matsuriza, Sacramento Taiko Dan, Shogo Yamada & Yamasho Kai, and Shoji Kameda. Sponsored by Nippon Taiko Foundation, NBC Bay Area, Miyamoto Unosuke Shoten Co. Ltd., Don and Hisae Dickey, Asano Taiko U.S, and Bay Area Taiko Arts.